A website is important for your business and for your products. But Web design alone is not enough. It should fit your product or service. All of our projects are elegantly and individually coordinated precisely. If your goal is to develop high quality php and mySQL/ PostgreSQL based web applications in a cost effective way with quality work, you reached a right place. Any PHP solutions, PHP development, PHP scripts are available at VSS. Our development is expertise in PHP programming, PHP scripts, PHP frameworks like Magento, Drupal and Joomla also. Many of our custom designed website solutions and applications are developed by using ASP.NET. Our ASP.NET team of highly skilled professionals with many years of programming experience. The result is prompt and reliable performance. Our .NET platform has been designed particularly for the Internet age. ASP.NET and web services enable programmers to build scalable applications for the future with less coding and better performance. VSS expertise in .Net development also. AJAX enables a dynamic, asynchronous Web experience without the need for page refreshes. You can find out how this combination of technologies in your website , if you are preferring AJAX development. We will provide a fresh look in your website. QA Services & Software Testing which include manual and automation testing services in multiple domains and multiple platforms. We are very fast in Template development. Currently we are having a huge number of templates, Flash templates, E-commerce templates. You can select template from our collection and we will customize it to you. 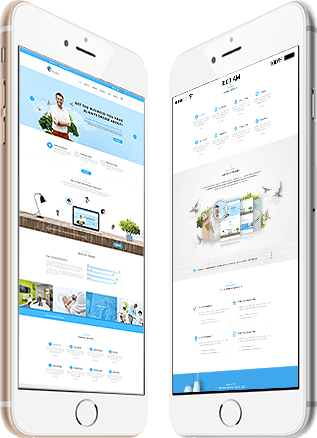 Yet another great move by VSS is that they announced that they are now offering Flash rich website development for our clients. We are a client oriented state of the art company able to cater to any of your animation related requirement. We have a huge collection of images suits any of your picture needs. We have the same picture with various resolution that matched with, your websites, Brochures, flyers etc. We used to update our image collection often. We categorised the images so that you can easily find out the right image with right resolution. At VSS, we work towards satisfying our customers with the Game Development. A website is important for your business and for your products. But Web design alone is not enough. It should fit your product or service. All of our projects are elegantly and individually coordinated precisely with mobile responsive development. Running a web design or software development business requires time and a wide range of skills to meet client requirements. If your company occasionally has more business that you can handle or doesn't have the skills to meet the requirements of the client request, you can outsource it to VSS. You will be able to chat with VSS by email, phone and Messenger to be constantly informed as to the status of your project. If you would like to discuss the opportunities for outsourcing, contact us today! Any customized application development on Web, Mobile, Networking and Bigdata. Our web hosting service allows individuals and organisations to provide their own websites accessible via the World Wide Web. We provide space on the server for our clients and services. Technology Upgradation in web is to upgrade your web application to a latest technology and latest version. We can upgrade the security measures also using this. Our team of software developers and creative team work closely to upgrade technology used in your website.